When you watch a basketball game you must appreciate the athleticism that goes into the game. These are larger than average men and women moving in a coordinated and dynamic fashion at a high level. As a track and field coach I've learned to break down the fundamentals of running and jumping to enhance the abilities of basketball players. It's critical for aerobic conditioning to be at an extremely high level. And combined with optimal explosive speed and jumping ability. 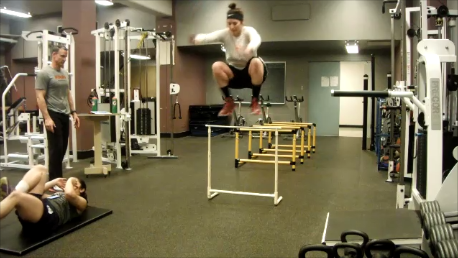 Following our proven system, we have seen significant improvements in vertical jump height and lateral direction change speeds in many of our athletes.